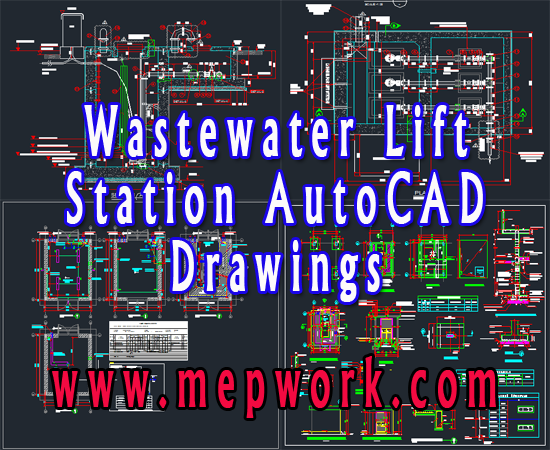 Sewage pumping station Autocad drawing dwg for free download. It is a big project includes structural mechanical, and electrical work AutoCAD drawings. The layouts shows the complete design and components of sewage pumping station. Wastewater lift stations (also called Sewage Pumping Stations) are the common method used to lift wastewater to higher elevations. Gravity plays an important role, sewage is fed into and stored in a sealed underground concrete tank. When the level rises to a determined point, the pump starts to lift up the sewage.